Hi. This is an amazing story! 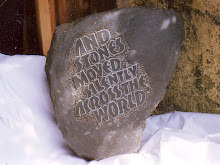 By listening to your dreams and finding indisputably serendipitous signs, the story of the stones unfolds. I look forward to hearing how it continues in Australia. The dream world is strong in Aboriginal culture so that will be interesting. PS I too take notice of my dreams.